Another new ramen place in town, I had the privilege to try them out with other bloggers for an invited food review session. 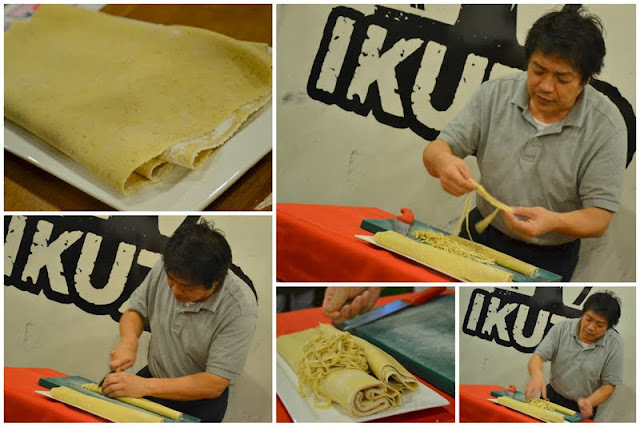 The Ramen Revolution at Ikuzo Ramen, they offer high quality and affordable ramen in SS2. A unique menu display as a newspaper form. The speciality here is their ramen as it’s unique and does not uses any machine to make, plus everything are made here locally in Malaysia! 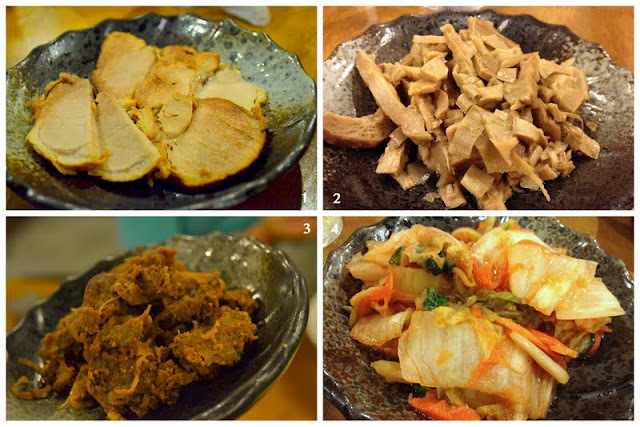 Ikuzo Ramen offers 4 types of noodles. Original Thin, Spicy Thin, Original Thick and Spicy Thick. This is how their ramen looks like. Everything is handmade, without any machines involved. Texture wise, of course it’s different as compared to the ramen we eat elsewhere. We were told, Ikuzo ramen is made from Rye Flour, it’s known to be high in nutritious value. Rye is rich in iron, protein, calcium, vitamin Bs & E and it is also high in fiber. Rye cereal has a very low Glycemic Index (GI), reducing the risk of obesity. With the new concept of Ikuzo Ramen they want to revolutionize the Japanese ramen, by making it affordable for everyone all their ingredients are mainly locally produced. Great to pair them up with the ramen to come. If you are a hot person wannabe, this would be your choice! Black sesame soup base with “ma la” spices. As hot as it can get with minced meat. For extra spiciness, go with spicy thick or thin noodles. 5 slices of char-shu with signature shoyu-based soup. Served with seaweed and spring onions. Char-Shu Ramen with Original Thick ramen noodles. Spicy flavour with speciality homemade paste into the soup base. Served with breaded pork fillet, egg and vegetables. Served separately between noodle and soup. You are suggested to dip items into soup before eating. Two tempura prawns in shoyu-based ramen with seaweed. Revolution the Hokkaido way! Classic miso-based soup, served with pork char-shu, bamboo shoots, spinach, bean sprouts, and sweet corn. In a nutshell, after tasting their ramen made from rye flour and soup, the price and variety offered on menu is very attractive however, the soup and ramen still have room of improvements. I’m not really a fan of the revolution fusion ramen taste just yet, I still prefer the original method of how ramen used to be and the soup, I’ve tasted far better ones however, the method used here is really different plus with the price of a bowl of ramen, it still can’t be compared to a proper japanese restaurant with all their soup and ramen imported from Japan. Green tea and Ginger Green Tea. I would recommend Ginger Green Tea, it’s really good as not many places can pull off a ginger drink. Unfortunately their ice cream is sold out too so we didn’t had the opportunity to try their speciality homemade ice cream. It’s said to be good as recommended by the chef. With more room of improvements, Ikuzo Ramen is still a great place to chill out with unique deco and a fusion ramen place we look forward to. The paintings display are for sale starting price at RM 60, if you enjoyed them, you may contact the management to place an order.